Henry and Jeannie Clark have been organising regular Social Dancing at the Livermead House Hotel for many years — with a beautiful ballroom it's easy to see why the Livermead House Hotel is such a fantastic venue for Ballroom, Latin and Sequence dancers. One-hour teaching sessions precede the dance with a qualified instructor (6.45-7.45pm). 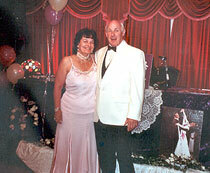 Our social dance dates also include special themed dance events. See our Torquay social dance dates for more details. All dances at The Elm Community Centre are on alternate Saturday nights from 7:45pm until 10:45pm and this venue has free parking. 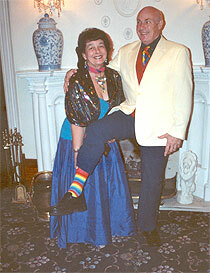 These dance evenings are always themed and are a great excuse for dressing up if you wish. 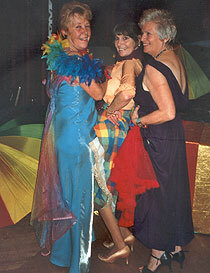 For dates and more info such as dance themes check our page for social dancing in Plymouth. This is a super venue for Saturday night dances. For dances in 2019 — see the dates and full details on our Broadclyst page. This is a very large, modern and well-appointed community centre. For further info about dances in 2019 — see the dates and full details on our West Hill Hall page.